As you may or may not know, I moved to Los Angeles over 2 years ago and have been pursuing modeling, acting, and fashion. Through a wide array of industry exposure I have found that I excel the farthest in the field of swim. With that being said, I would like to announce that I will be utilizing my modeling skills and creativity to start my own swimwear line! My time in LA continues to be an amazing experience and constantly presents great opportunities, connections, and industry insight. Having my own fashion line has been a goal of mine since I was young and with furthering these connections and utilizing current fashion and social media trends I feel that now is the perfect time to capitalize on my ability to shape and influence the swimwear market. Creating a successful business that utilizes my modeling talent and design creativity will serve as inspiration to other young women looking for entrepreneurial outlets, and it will create unique employment opportunities for many people around me. 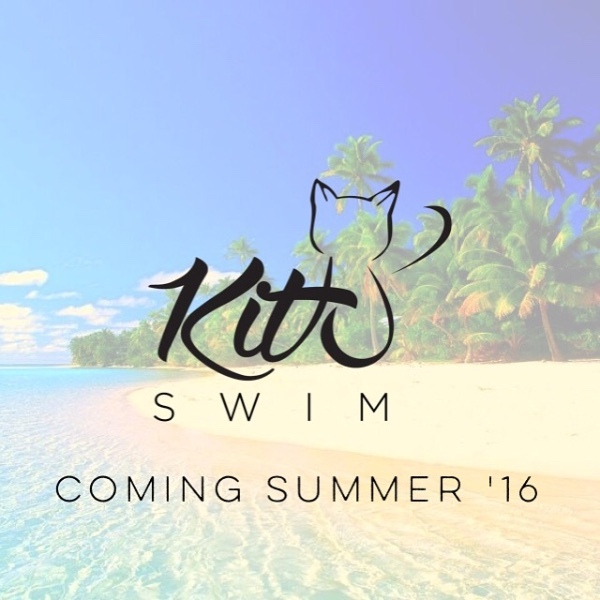 My brand is called Kit10 (pronounced “kitten”), and it is scheduled to launch this Summer. I have spent countless hours designing, researching, visiting manufacturers, sourcing materials, and building relationships with other key people to help me with operations. I am currently in the process of completing the remaining samples for my first production run while continuing with material research. My next steps are website design, booking photo and video shoots, and scheduling promotional content release. Now, I need your help. The costs of doing business have become overwhelming. Though I’ve been showered with positive feedback and encouragement, I am missing the necessary funds to complete some really critical tasks in getting Kit10 off of the ground. I’ve covered all costs to this point on my own with money from modeling and acting jobs, and all money donated will be used to keep Kit10 moving forward through the key items mentioned above. Starting this company while living in a city as expensive as Los Angeles was risky, but I wholeheartedly believe in both what I am doing and in myself, I am praying that you do too. Thank you for your time, consideration and continued support. You are appreciated. Thank you to all who have donated and supported thus far! I still have a few major production needs before launch, I would truly appreciate your help!!! Wish you the best in your endeavors. I support! You Go Girl! Keep working towards your dreams boo! Can't wait to see what amazing things God has in store for you! Congratulations and good luck to your new company. Proud of you!!! $30 is all I have lol.